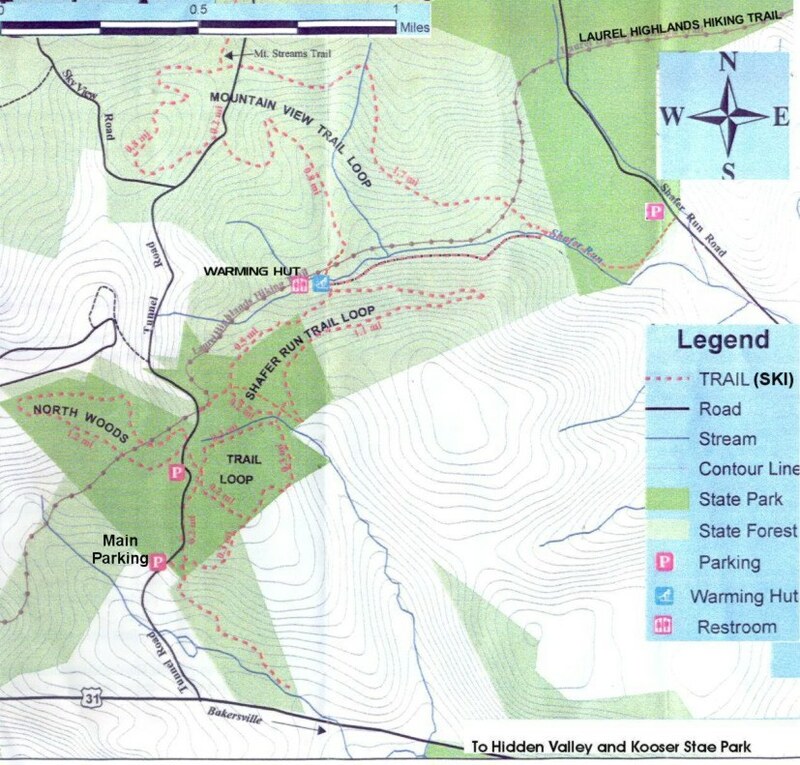 The entrance to the main parking area is 1/4 mile west of Hidden Valley, just off Route 31 on Tunnel Road. The road and parking area are generally plowed in the winter, but sometime takes a day or two after a big snow. From the lower parking area to the top of the mountain is fairly steep, so if there is not good powder you will have a fast return to your vehicle. There are a few parking spaces at the top of the hill but usually a good 4-wheel vehicle is needed to get up the hill (Caution Tunnel Road road is shared with snowmobiles). Shaffer Run Loop has a couple of steep downhills when skied clockwise but ski ccw and just a gentle switchback. Mountain View Loop has a steep winding downhill when skied ccw and a long gentle downhill when skied clockwise. 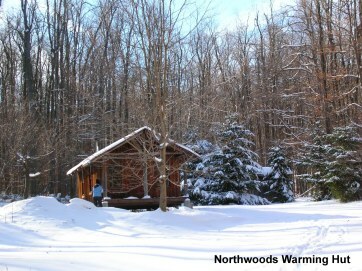 The Forest Service keeps the Warming Hut stocked with firewood. A great spot for a break.